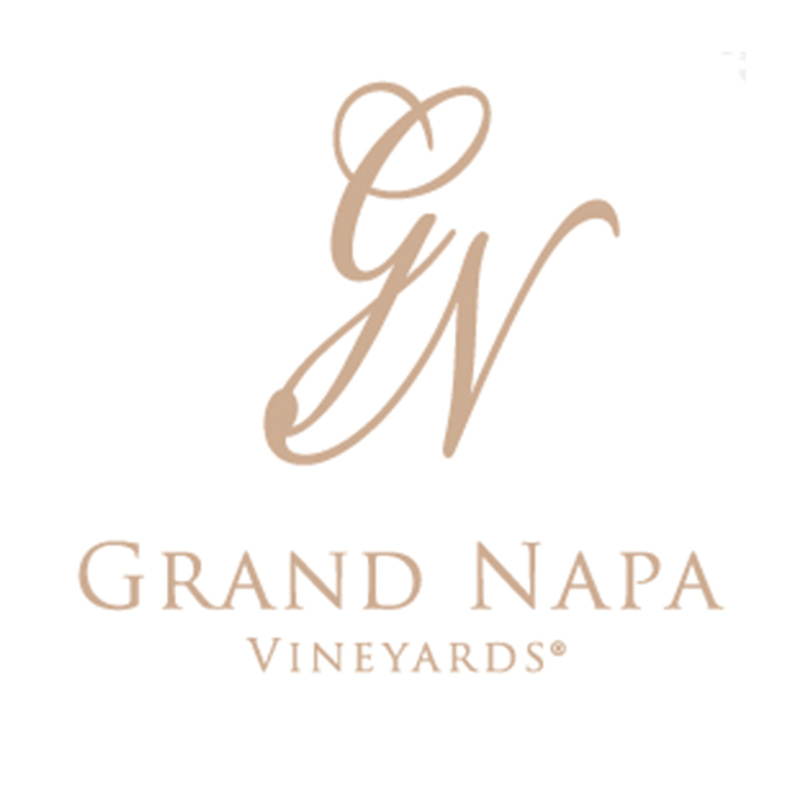 Grand Napa Vineyards is located in the heart of Rutherford, near the foot of Mt. St. John in the Mayacamas mountain range. In 1838, when California was still part of Mexico, 11,814 acres from the Caymus Rancho were granted to explorer George Yount by General Mariano G. Vallejo. A cowboys’ bunkhouse built in 1888 still stands here, and nearby Yount planted Napa’s first grape vines. After Yount’s death, Captain Gustave Niebaum bought some of his property and established Inglenook Winery, the first Bordeaux style winery in the USA. 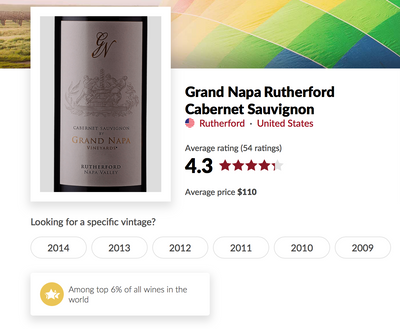 His Cabernets won gold medals at the World's Fair of Paris in 1889, the year that the world began to take notice of California wines––wines from Rutherford. And in 1939, Rutherford wines went on to win a “Grand Sweepstakes” award from the Golden Gate Exposition in San Francisco. 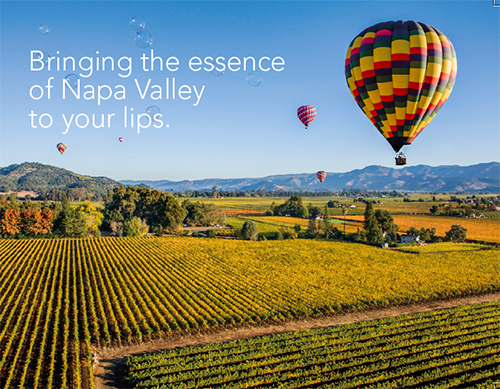 Napa’s world-class status was cemented in the Paris Wine Tasting of 1976 competition. Intended to prove the superiority of French wines over American, seasoned French judges picked as best both an American Chardonnay and Cabernet Sauvignon in what came to be known as the “Judgement of Paris”. Rutherford is our land, our history, and the heart of our mission: to create and bring outstanding wines from Napa Valley to the world. We grow Cabernet Sauvignon and Cabernet Franc grapes. Each of our vintners implements their own artisan techniques, barrel selections, fermentation and microbiology to produce an array of distinctive wines, each with unique character and texture. We produce approachable, full-bodied, well-balanced wines at all levels, perfect wines for everyday drinking as well as special ones to savor. From Grand Napa’s home in Rutherford, our Winemaker, Dwight Bonewell, sources the fruit for our wines from the best vineyards in Napa Valley, including some of its other most prestigious sub-appellations––Diamond Mountain, Mt. Veeder, Spring Mountain, Oakville, Atlas Peak and Carneros. Dwight is involved in every step of the winemaking process at Grand Napa, because ultimately, it’s the commitment of the winemaker that separates the mediocre wines from the memorable. 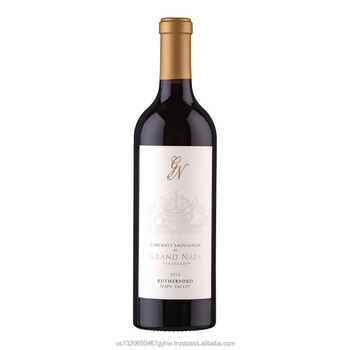 When you uncork one of our wines and decant it, when you look at its legs as it clings to your glass, when its fragrance and taste marry as they dance across your palate, and when your delight lingers in its finish, you will have discovered the treasures of Grand Napa Vineyards. But there is more. 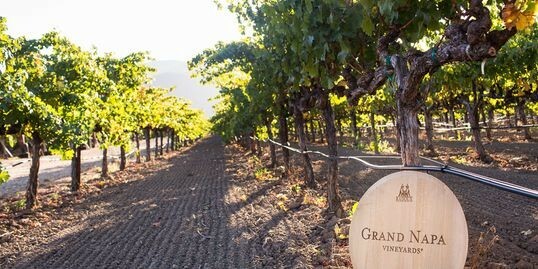 Within the Napa appellation are 14 unique sub-appellations, and at its very heart you will find Rutherford, home of Grand Napa Vineyards. Flanked by the Mayacamas and Vaca Mountain Ranges, this small, verdant valley with its chalky, dusty soil and perfect Mediterranean climate produces many of Napa’s most sought after wines. Extraordinary Cabernet Sauvignons and creamy Chardonnays are born here, but Cabernet Sauvignon is king. 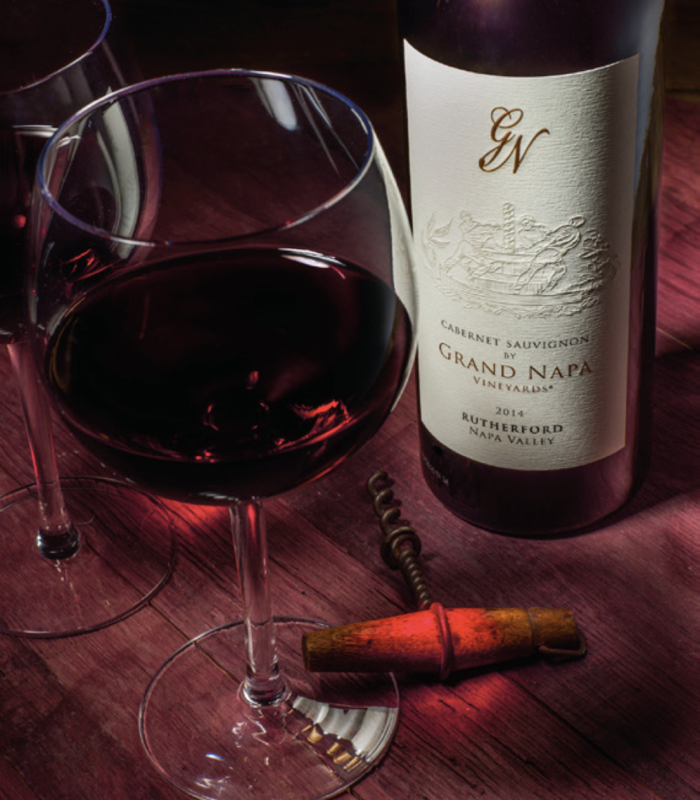 André Tchelistcheff, the master winemaker who shepherded California into its brilliant new era of winemaking saw the importance of Rutherford this way: “It takes Rutherford dust to grow great Cabernet.” This is the home of Grand Napa Vineyards. 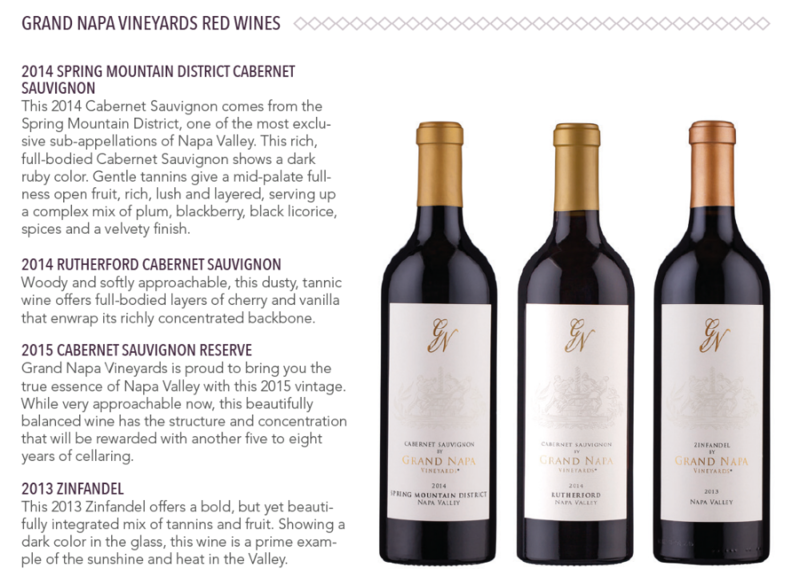 Aromas of blackberry, blue fruited, concentrated and everything you would expect from Rutherford Cabernet. Soft developed tannins. a surprising standout from a producer i dont know much about. definitely worth digging for more info. This Rutherford Cabernet is drinking wonderful now after 1 hour of decanting. Fruit and tannins well integrated, can't wait to see how this one ages.